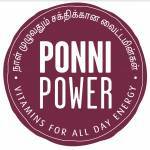 Ponni Power is the rice produced by 45RICE - a social enterprise dedicated to improving lives through nutrition. With the motto, “fortifying every meal”, 45RICE brings essential vitamins and minerals to a bowl of rice, turning empty carbs into healthy carbs. 45RICE completes your wholesome diet for a healthier life. 45RICE takes the innovations of fortifying staple foods like wheat, salt, and milk and introduces it to the most consumed staple food in the world – rice. First, 45RICE sources rice from the best quality fields and fortify just 1% of the rice grains with essential vitamins and minerals. After 1% is fortified, it is mixed with the rest of our high-quality rice and packaged.